Few things sound greater than a Triumph three-cylinder at full-noise and now – thanks to a new deal with MotoGP™ owners, Dorna – you’ll be hearing 34 of Triumph’s finest battling it out in Moto2™ races from 2019. Relinquishing Honda as engine supplier for Moto2™ ends a seven year contract and thrusts the Hinckley firm in to the world racing spotlight proper. The decision to drop Honda’s long serving CBR600RR based engine is to be expected, with the ‘baby blade’ being dropped from the firm’s line-up in Euro4 markets after what feels 40 years (13 actually). While the baby blade kicks on in other markets, it’s dwindling sales will surely mean it’s relegated to the history books soon (replaced by this…). Few things say ‘race-bike’ like polished inlet trumpets. Triumph has signed a three-year contract to supply a race tuned 765cc three-cylinder, based on the powerplant from the new Triumph Street Triple RS. 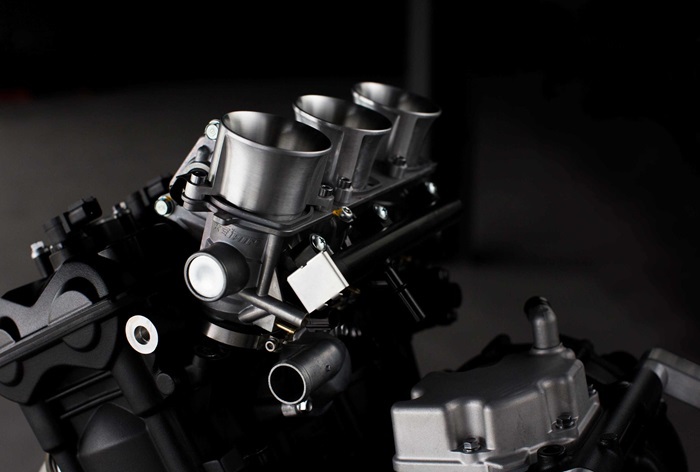 Triumph are calling it a “significant development” of the 675cc powerplant that has clinched wins at the Isle of Man TT, Daytona 200 and British Supersports Championships in the Daytona 675. Paul Stroud, Chief Commercial Officer for Triumph Motorcycles called the move a significant moment for Triumph that brings an exciting new chapter to a 110-year racing history and builds on celebrated TT and Supersports race winning triple engines. 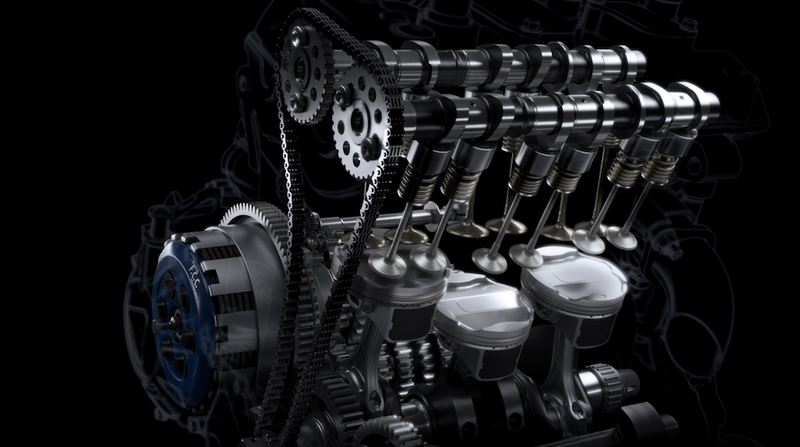 Titanium valve springs and a modified cylinder head with revised inlet and exhaust ports allow more rpm, air and fuel. The race spec’ engine has been modified with titanium inlet and exhaust valves and stiffer valve springs for increased rpm, tuneable slipper clutch, race ECU (developed with Magneti Marelli), revised engine covers to slim the engine down and a modified cylinder head with revised inlet and exhaust ports for optimised gas flow. There’s also a taller first gear and a smaller alternator to help turn the sweet little road motor to a race winner.